I; like many others have been curious about this product for some time. I’ve read info and reviews alike in regards to this product and how it works yet still thought: hmmmmm, it just doesn’t seem like this could work out. I was hoping to receive it in a Birchbox but never did so I finally decided to give it a go and share my experience. I read the instructions and brought it with me to the shower. It says to shower, turn off shower to apply to wet skin in circular motions, leave on for 3 minutes then turn shower back on to rinse. Simple enough! I wasn’t really sure how much product to use so I really globbed it on to insure enough product was used and just covered my entire body, using circular motions until I was positive I hadn’t missed anywhere, counted 3 minutes and rinsed. After exiting the shower I realized I wasn’t sure about drying and how it would or wouldn’t interfere with the tanning process so I patted my feet dry and wrapped my towel around me until I was dry. 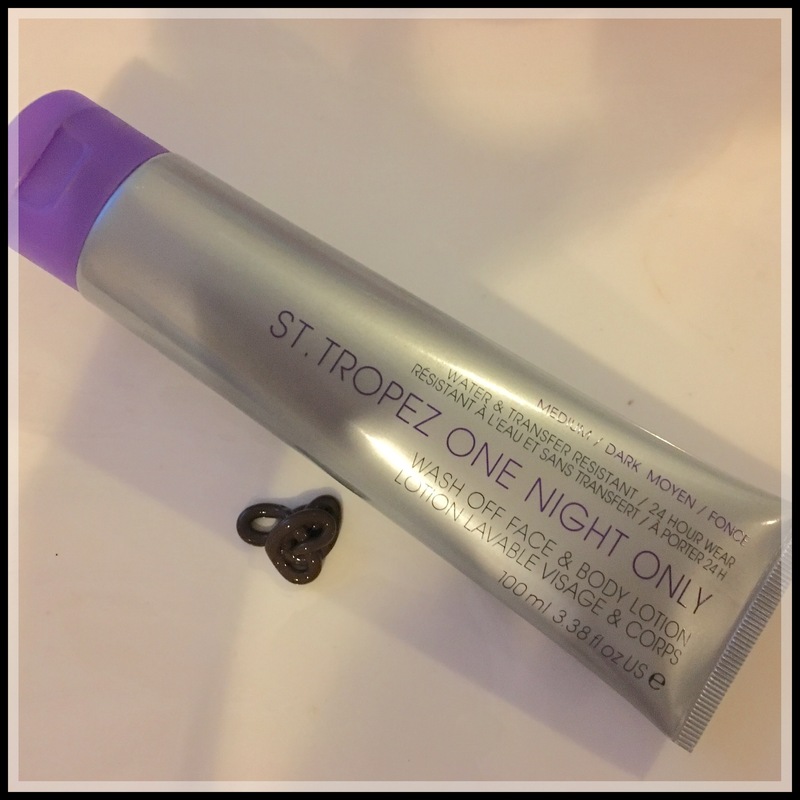 (This may not be necessary but I didn’t want to rub any off and end up with streaks) There wasn’t much of a scent or self tan smell upon application but I could detect a very faint self tan smell later in the day which was how I knew it was developing. About 8 hours after application I checked myself out and really didn’t think I looked much if any amount darker. I had taken a before photo in natural light so I took another after in the same natural light. When comparing the two there was an obvious difference in my skin shade. I definitely still looked pretty pale with my summer tan faded so I figured I should continue using this product to see how it builds over time. I take baths every evening and don’t always shower in the morning/day…this was one of those days. haha. SO: I thought, why not try it out in the bath tub? I figured there are likely people who live in homes that have a tub and not a shower that wouldn’t likely purchase this product due to uncertainty. Well, lucky you! I tried it for you! Guess what? It worked just as well. I simply bathed and soaked, stepped out on my bath mat, slathered my body in circular motions, counted 3 minutes and got back in for a short soak. The next morning the difference was much more significant than that of the first application. 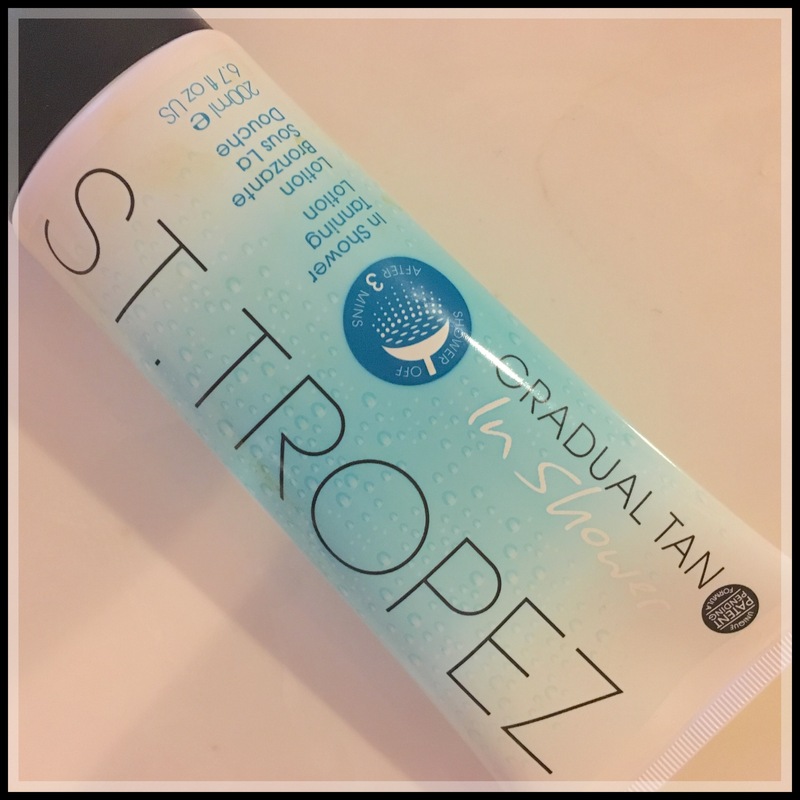 I did not have any streaks after either application, wasn’t orangey and it is definitely much easier than other self-tan applications b/c you don’t have to worry about even application, just cover your body with it. The color building experience is similar to using other gradual tanning lotions made for fair to medium skin tones. If you are looking for a dark tan quick this is not your product. BUT: If you just want a nice light tan/glow and do not mind waiting 2 or 3 days to get there; have fair to light/medium skin and especially if you loathe self tanning in it’s traditional forms…this is likely perfect for you. It’s so completely easy. 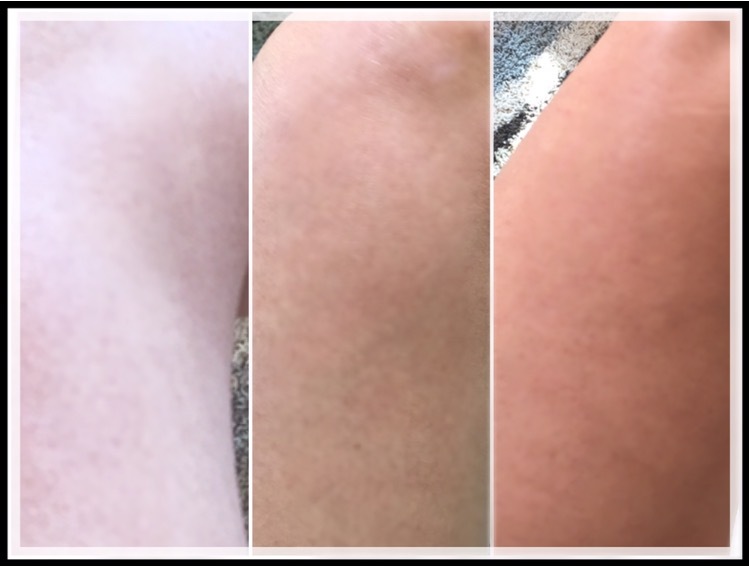 Below are my before and after photos, taken in natural light, in the exact same spot pre-tan and after 1 and 2 uses. I seriously did not think I looked as pale as picture one until I took a photo in the bright sunlit window and looked at it! Eek! All better now! After 2 days of using the in shower gradual tan I found myself at an acceptable shade, being November. Glob some on every couple days to maintain after achieving your desired shade and voila, no more super pasty girl! I’ll definitely re-purchase this. It’s too easy to use not to. It’s definitely only a late fall/winter product for me though as I generally have a pretty good tan the majority of the year. On the days I want a much darker tan, like yesterday, I use this. 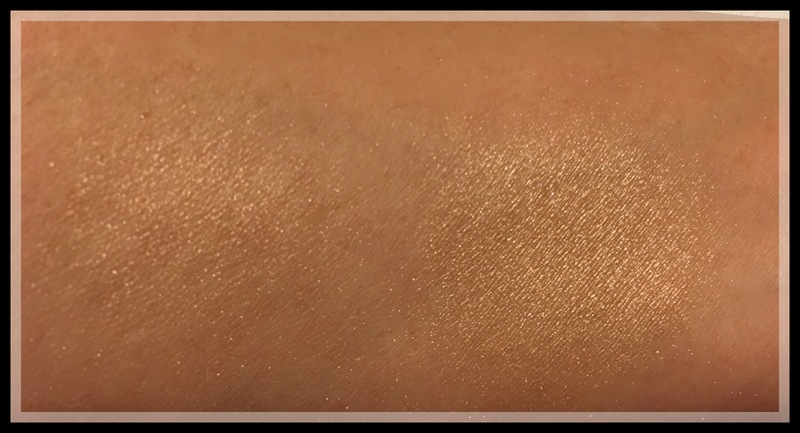 I received a deluxe sample of this product some time ago in light/medium so I already knew I loved the product but wanted to go for the darker shade. This stuff is great to darken any area of your body in a pinch and it rinses off with soap and water. It claims to be transfer proof as well as water proof. As a user of this product I’ve been splashed with water after it’s been totally dry on my skin a while and been cool…I wouldn’t however suggest wading knee deep in the ocean on a first date with it on or sitting on someones white leather couch on a hot, sweaty day while wearing it either. While it’s not ruined any of my clothing I have noticed a bit of it on the insides of my shorts when worn on a hot summers day. This medium/dark shade is pretty dark, it’s fairly easy to apply but you do need to work pretty quickly. Because it is so dark you need to be exfoliated and just shaved, otherwise you will see tiny dark dots on all of your hair follicles. Yikes! It’s good to have one of those self tanning mitts on hand too, as it helps buff the tan product seamlessly after application. I often times like to mix one part tan lotion with one part pearlized body lotion. 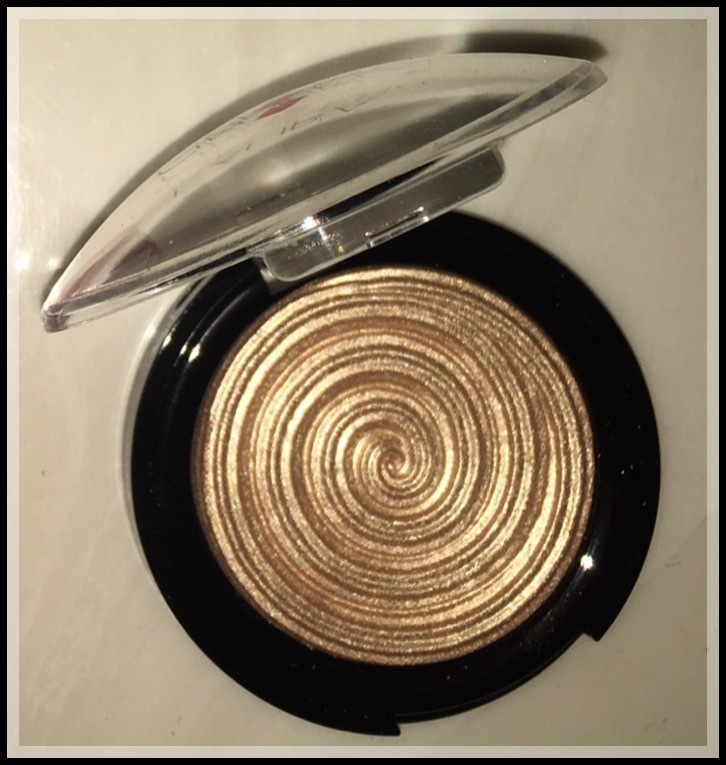 It does lighten it a bit but it makes the application process much smoother and gives your skin a radiant look as well. The photo below is one application of this product, after buffing, on my legs in natural sunlight. While this will still last me forever; I was a bit surprised when it arrived in its smaller proportions so I wanted to let everyone know as not to be surprised. Here are a couple swatches on my (much darker than my legs) arm. (which is odd b/c I wear shorts daily.) It’s pretty, not dramatic and a nice golden hue. The first (to the left) is just one swipe while the right is with multiple layers. 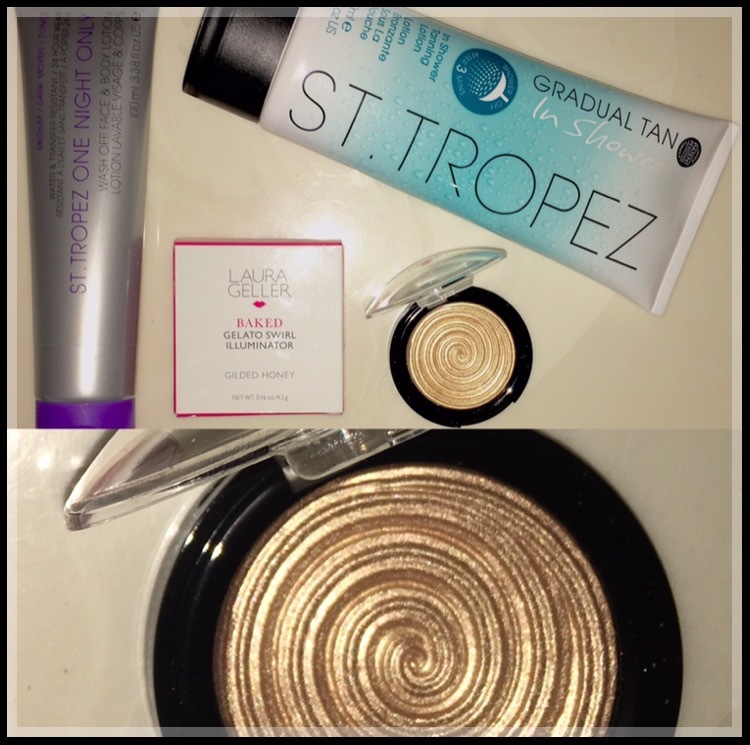 I hope this answered any questions you’ve had regarding these products! Thanks for reading and don’t forget to enter my ‘Glow’vember giveaway if you haven’t already!! Yup, I must have totally used it wrong haha! I am going to try the In-Shower tanner again!! Thanks for the tips love! No problem! I figured this particular review would be a helpful one! Yea, just use a good amount of product, it will look globby (is that even a word) haha, all over your body…and just continuously rub it in to your skin using circular motions, count 3 minutes and a short rinse..(air dry just in case) if you do it 2-3 days in a row I think you will notice a pretty good difference! Perfect!! Thanks so much love! I’m sorry, Nena! That is so bizarre. I’ve had another girl say the same as you. After my first use I’d have not known I was even a little darker if I had not taken the photos. I was still really pale. I could tell at the end of the second day though. I guess certain self tanner’s just do not work as well for everyone. There are a couple self tanners out there, really pricey ones, that people rave about, color, long lasting etc. 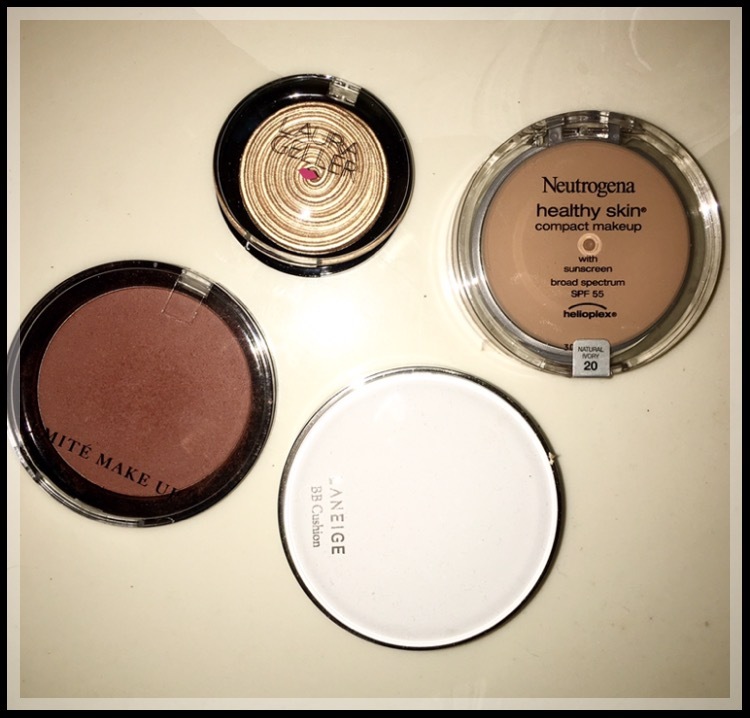 but when I use them they look like I am going to have a nice tan but when I rinse the color guard and bronzer off in the shower the next day there is absolutely nothing left…and it doesn’t matter how many days in a row I use it either! For sure! You’re welcome. I try to make sure I hit every detail in my reviews! ← ‘Glow’vember Giveaway is here!! !